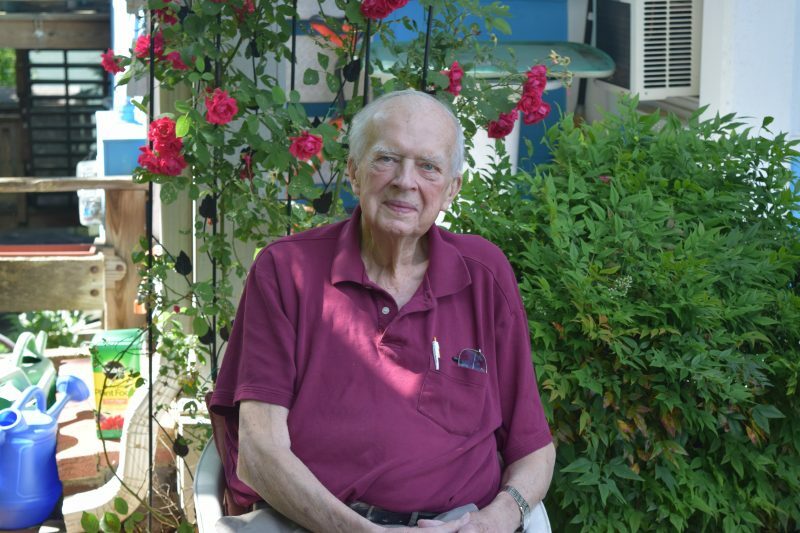 David B. Dickens, Professor of German Emeritus, Dies at 85 He taught at W&L from 1960 to 2007. David B. Dickens, professor of German emeritus at Washington and Lee University, died on Jan. 9, 2019. He was 85. Dickens was born on May 16, 1933, in Buffalo, New York. He graduated from Amherst Central High School and earned his bachelor’s degree in German and French from SUNY Buffalo (1955), his master’s degree in German from George Washington University (1958) and his doctorate in German from Princeton University (1984). Prior to joining the W&L faculty in 1960 (ABD), he taught at SUNY Buffalo, George Washington University and Hollins University, and worked for the National Security Agency. As well as teaching all levels of conversational German, he taught German literature of the 17th and 18th centuries, German cultural history, and literature of the fantastic. His research interests included Kurt Kusenberg, whom Dickens described as “the 20th-century German existentialist with a sense of humor”; Clemens Brentano, a key figure of German Romanticism; and vampires. Dickens was a prolific scholar, publishing “Negative Spring: Crisis Imagery in the Works of Brentano, Lenau, Rilke, and T.S. Eliot,” as well as numerous articles and translations of German short stories, poems and articles. He served as acting department chair twice and was a member of the Graduate Fellowship Committee, Writing Across the Curriculum Committee, Foreign Study Committee, Student Financial Aid Committee and Sectioning Committee, which counted class registrations by hand and kept track of them on a blackboard in Robinson Hall. In the ’70s, as Spring Term became part of the curriculum, he created one of W&L’s first total-immersion language programs using contacts throughout southern Germany, especially at the University of Bayreuth. He considered this his most important achievement: “It enabled any student to gain familiarity with life in a different country.” He also noted that Germany is where he met his wife, who supported him while he finished his Ph.D. dissertation. Dickens was also W&L’s resident vexillologist and was instrumental in helping W&L when the university began displaying flags to honor international graduates in 1995, lending many from his personal collection. Flag Day was celebrated in style at the Dickens residence (a.k.a. the Blue House), which hosted numerous students over the years and where only German was spoken. In Lexington, Dickens was a founding member of the Friends and Relatives of Gilbert and Sullivan, on the board of directors for the Rockbridge Concert-Theater Series, a member of the Lexington Flower Committee and on the advisory board for the Lexington City Schools Gifted and Talented Program. He also designed the official cachet for the first-day cover of the 20¢ George C. Marshall stamp for the George C. Marshall Research Library and Museum. He enjoyed carpentry, reading, philately, cooking, traveling and creating block-cut Christmas cards. Dickens is survived by his wife Monika Dickens, daughter Marina Leed, daughter Barbara Mammarella, son-in-law Steve Mammarella, and grandchildren Caitlin and Emily Mammarella. A memorial service will be held in Stackhouse Theater in Elrod Commons on Thursday, Jan. 17 at 3 p.m., with a reception afterward at the Hotchkiss Alumni House. In lieu of flowers, the family requests that donations be made to the Dickens Award at Washington and Lee. Donations can be sent to W&L, c/o Nancy McIntyre in the Development Office.